Welcome to the Hilton Garden Inn Orange Beach Hotel – Your Alabama Vacation Destination. We say everything’s better in the garden. And you know what’s even better? Our ‘garden’ is located directly on one of the most beautiful beaches in the world. From the moment you walk into our lush lobby – decorated in shades of green, with breezy curtains and paper lanterns that look as if they could float into the sunny summer sky, you’ll discover why our guests return to Orange Beach again and again. Our focus is on your family, and giving you everything you need to create unforgettable memories, from our convenient setting to our luxurious pools and hot tubs, comfortable rooms and hospitable service 24 hours a day. We’re committed to making your Orange Beach vacation one to remember, so be sure to introduce yourself and ask for anything you need to make your stay better. Our spectacular views and convenient location near Orange Beach and Gulf Shores, Alabama, also make our beachfront hotel a perfect place to host weddings, reunions or corporate events. 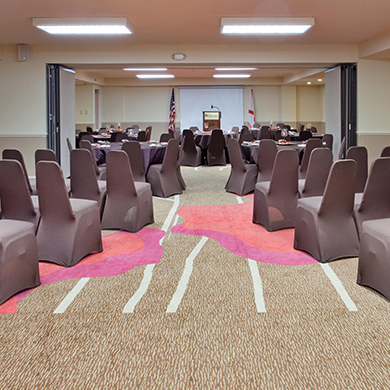 We offer equipment rentals and complimentary amenities to maximize your meeting. With hot, made-to-order breakfast and limited lunch from our Garden Grille Cafe, a lobby bar and poolside tiki bar, free Wi-Fi and 24-hour business and fitness centers – not to mention that view – there’s really no reason to leave our Orange Beach Alabama hotel. But if you decide to get out, we’re centrally located near dining, entertainment, shopping and watersports. You can try anything from parasailing to paddle boarding just outside our doors. We want to help you get to know Orange Beach and fall in love with this remarkable destination for business and leisure travel. So tell us what you like to do, and we’ll tell you where to find it. We’re located near major local attractions in Gulf Shores, Alabama and Orange Beach, Alabama including Tanger Outlet Mall, The Wharf at Orange Beach, Waterville USA, Gulf State Park and Gulf Islands National Seashore. A garden’s path can take you anywhere. Start here. Let us take care of the food and drink, with this special that gets you up to $25 of daily food and beverage credit. Whether it's a cooked-to-order breakfast, dinner at out on-site restaurant, or cocktails at our bar, it's all yours. With the Hilton Garden Inn Bed & Breakfast Orange Beach hotel deal, you’ll enjoy an in-room Keurig coffee maker and your favorite breakfast cooked-to-order - including eggs, omelets, bacon & french toast in our breakfast cafe. 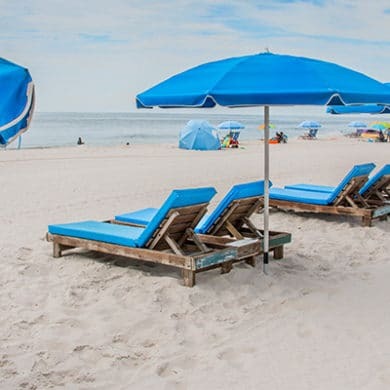 If for any reason, you get tired of swimming in our beachfront pool or lounging on our sugary white sands, there's a place just down the road where you can shop until you drop ... right back into a beach chair.